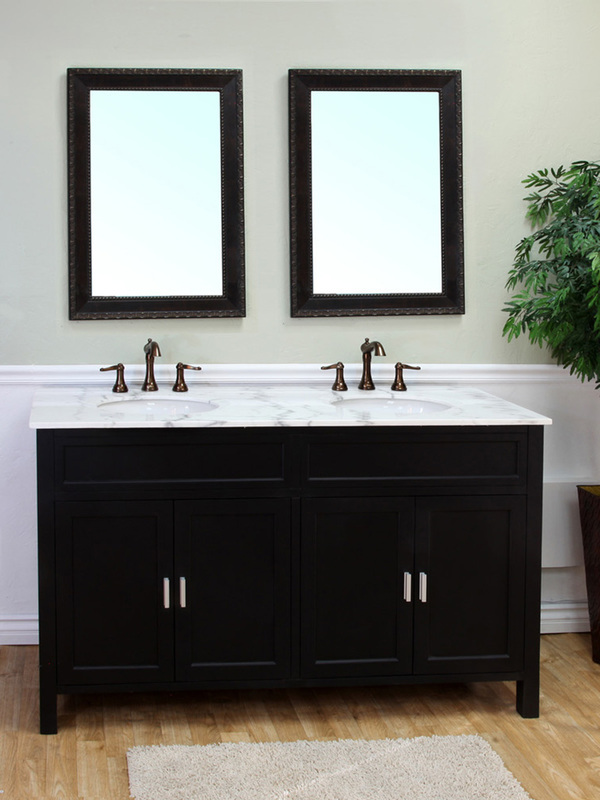 The Maronea Double Vanity has a lot to offer with its clean lines, black finish and nickel hardware, giving it a fantastic modern look. 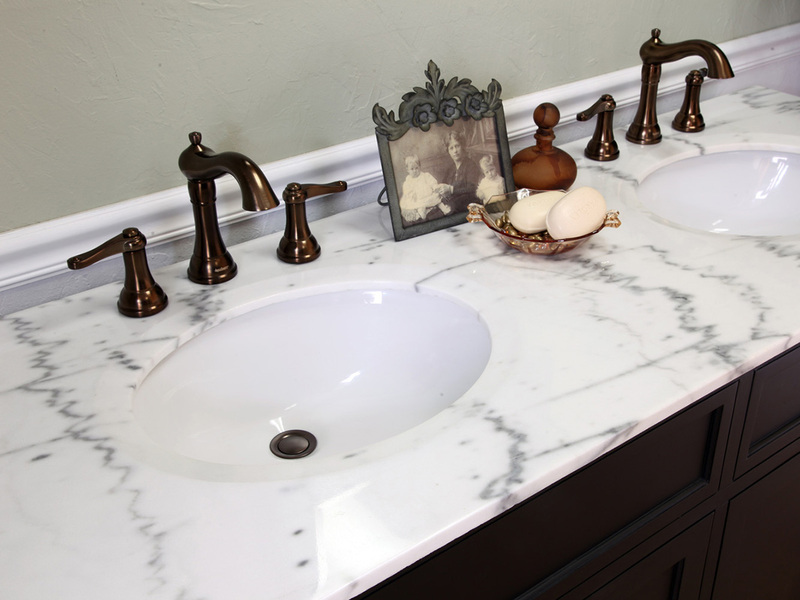 The contrasting white marble top adds a touch of luxury to the vanity, and provides a look that works well with most contemporary bathrooms. 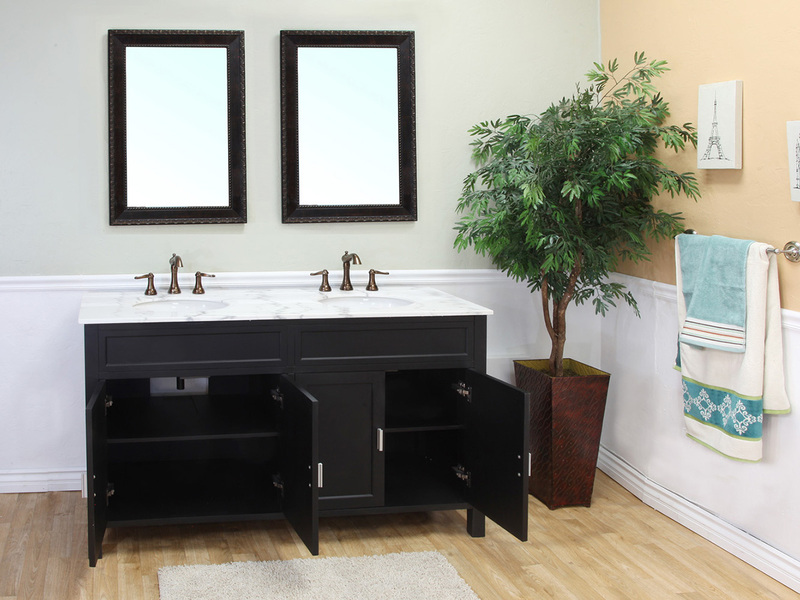 The water proof black finish protects the wood cabinet from humidity warping and damage, preserving the vanity's look and shape. 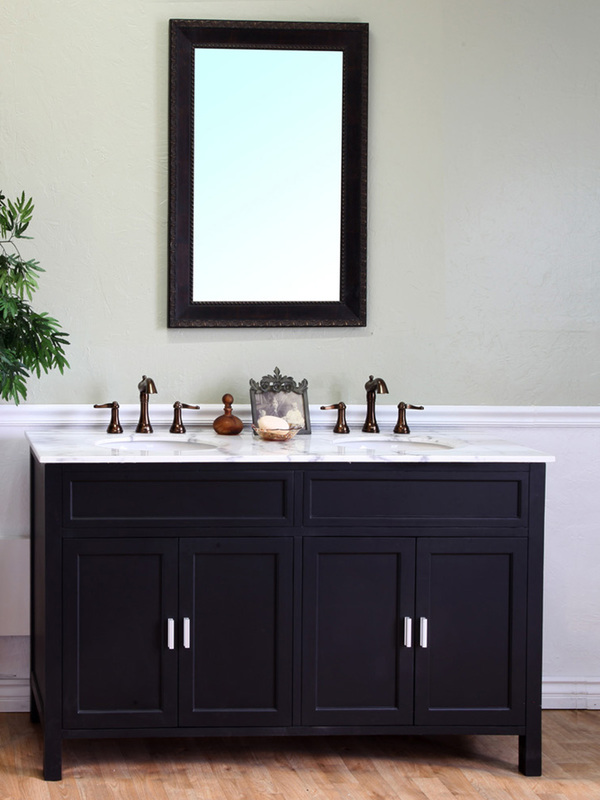 The double cabinets and spacious counter give you lots of options for storing or displaying bathroom accessories and supplies, making this vanity very practical. 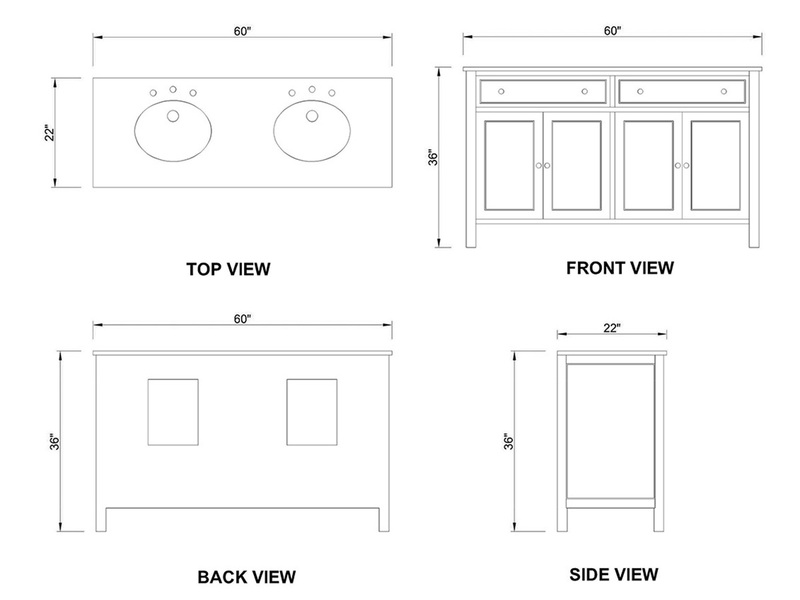 Optionally, a backsplash is available for this vanity through the drop down menu.